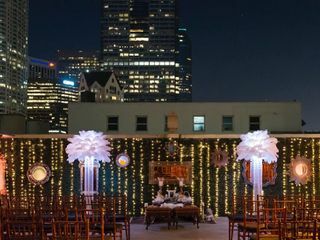 For those who dare to be different, we are excited to introduce an alternative to "just flowers" centerpieces. 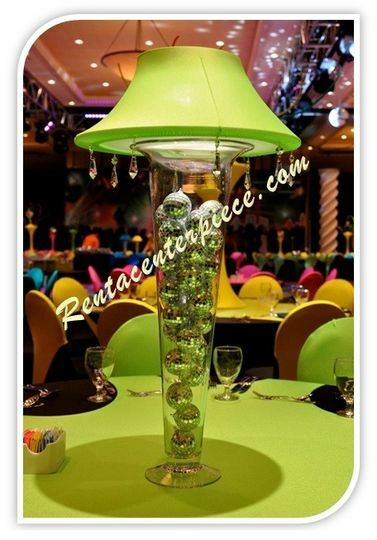 Our innovative and creative designs are sure to impress those with the most exquisite taste. 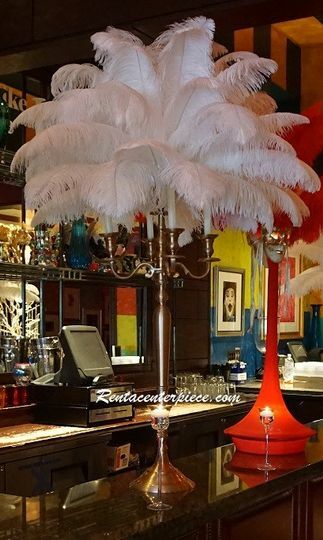 Rent A Centerpiece is a special events décor rental company specializing in Ostrich Feather Centerpieces, Lamp Shade Centerpieces and Candelabra Rentals. 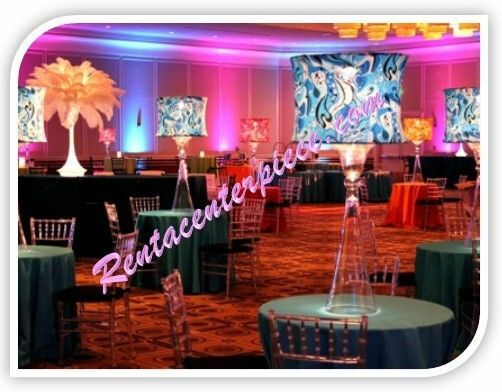 Quinceañeras, Bar and Bat Mitzvahs, Birthday or engagement parties, bridal or baby showers. 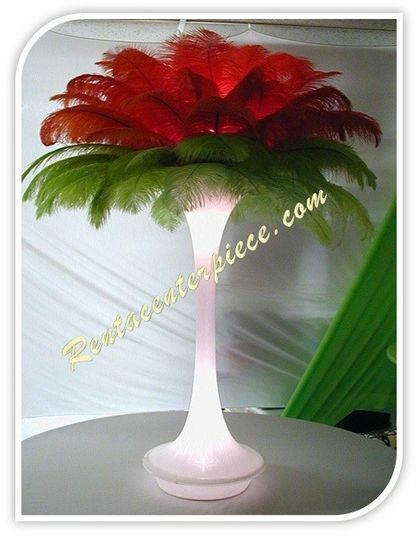 We also provide bouquets, boutonnieres, corsages, pomander / kissing balls and other floral décor. 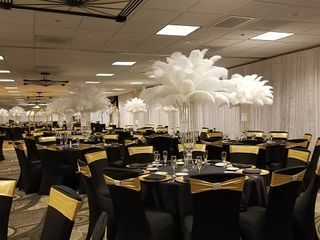 Centerpieces, bouquets and other event accessories are customizable in a variety of color combinations and floral assortments. 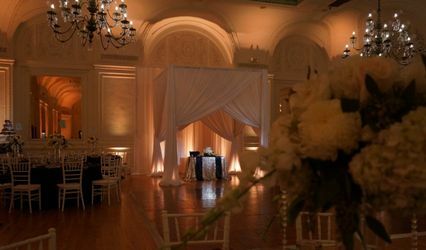 312-929-9685(Chicago) 562-303-0427 (Los Angeles) to schedule a consultation. 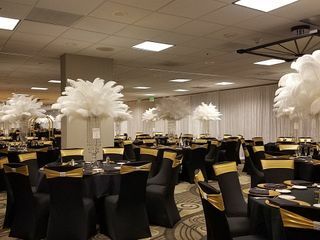 We rented 16 or so of the white feather centerpieces with crystals for our 1920s themed holiday party in Los Angeles. 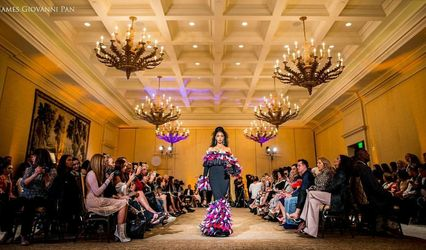 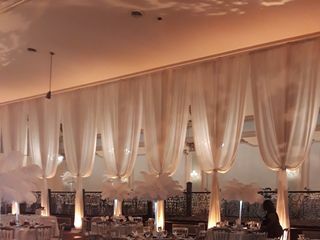 Guests were "wowed" and they added a very dazzling overall effect. 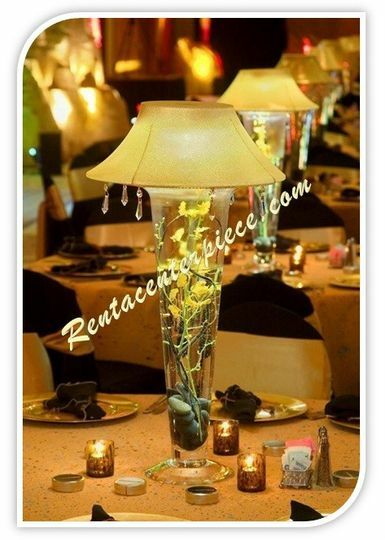 We chose to keep the light at the base at the "candlelight" color, kind of a soft yellow. 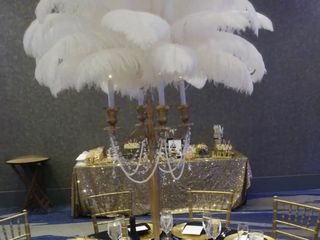 Paired with all white feathers it added a very nice glow to the tables which had black tablecloths. 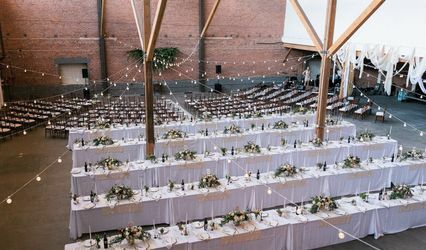 Would definitely recommend to anyone looking for a fun and elegant alternative to regular floral centerpieces. 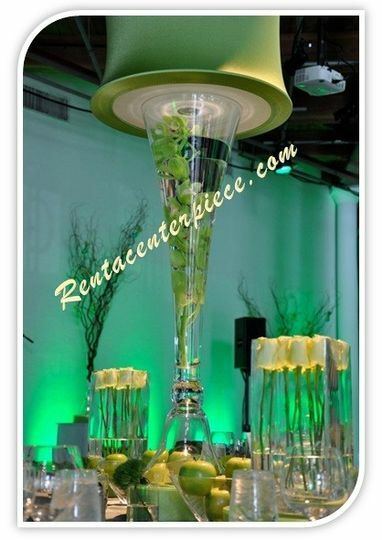 The centerpieces were gorgeous and the guests were quite impressed as they expressed how beautiful they were. 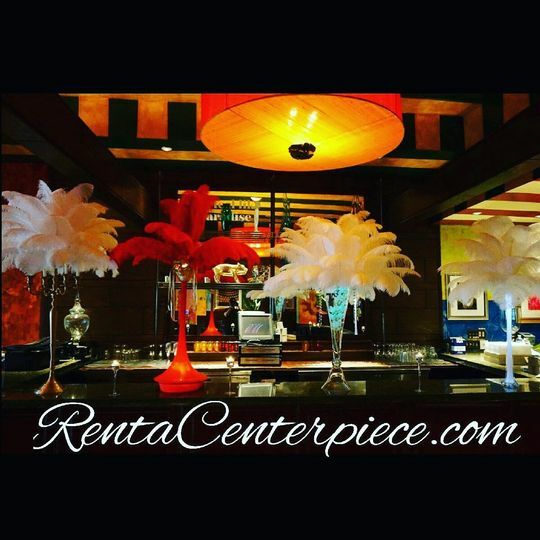 We chose Rent-a-centerpiece after reading negative reviews about the quality of feathers from other websites we were considering purchasing from. 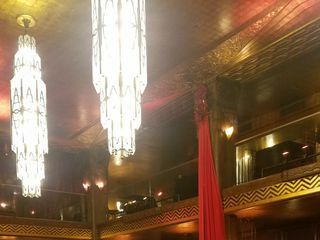 The staff was the greatest; available when needed and prompt with delivery and pickup. 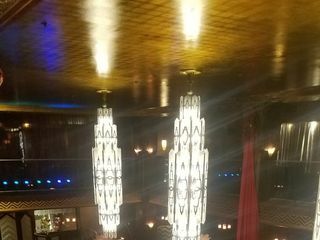 Thanks, Elvin!